If you have a history of diabetes in your family it is important that you make changes in your lifestyle. In a recent study done by researchers at the U.S. National institute of Health, it was found that people can reduce their diabetes risk by about 80 percent if they make changes in their lifestyle. Most people must be aware that exercising, drinking, smoking and diet have an effect the health of the person. However, the affects of these factors on the diabetes is not yet known. Jarad Reis, a researcher at the National Heart, Lung and Blood Institute and the lead researcher in the study conducted by U.S. National institute of Health, said that some of the factors they studies included body weight, healthy diet, alcohol consumption, physical activity and smoking. Each of these factors played an important role in reducing the risk of diabetes. For instance, having normal weight can reduce by risk of diabetes by over 70 percent. Also, eating healthy food can reduce the risk of diabetes by 15 percent, while people who don’t smoke have 20 percent less risk of developing diabetes. Reis added that people who lead a healthy lifestyle can reduce their diabetes risk by about 80 percent. Reis research team collected data of 92,483 women and 114,996 men who were between 50 to 71 years old. These men and women had taken part in Health–AARP Diet and Health Study and did not suffer from cancer, diabetes or heart disease when the study started. 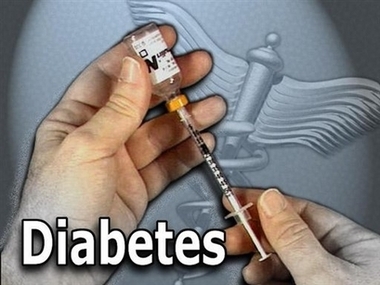 In over a decade of follow-up, about 7.5 percent women and 9.6 percent men had developed diabetes. However, researchers found that for every additional healthy lifestyle habit that men and women developed, their risk of diabetes was reduced. The risk of developing diabetes in men reduced by 31 percent and in women by 39 percent, when they developed an additional healthy lifestyle. Reis found that living a healthy lifestyle can benefit people of all ages. Even if a person adopts a healthy lifestyle in middle ages, their risk of diabetes will be lower. Some health experts are of the view that most people are aware that leading a healthy lifestyle can lower the risk of diabetes. However, changing the habits of the person to reduce the risk of diabetes is difficult. For instance, if a person is addicted to smoking, it may not be easy for the person to quit smoking.